Library and Educational Services (LES) has been a wholesaler distributor for over 30 years. Offering a large variety of Christian educational materials, LES proudly sells to churches, libraries, ﻿schools (including homeschools), and daycare centers. Prices average 30 to 70% off of retail listings. 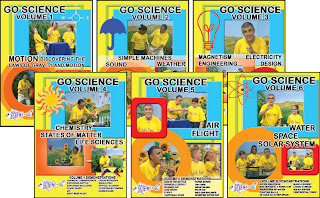 The Go Science DVD series offers 67 experiments on 6 DVDs. Featuring the enthusiastic teaching of Ben Roy, professor of science methods at the University of Tennessee at Chattanooga, your students will be captivated and remain motivated while learning about different science phenomena. 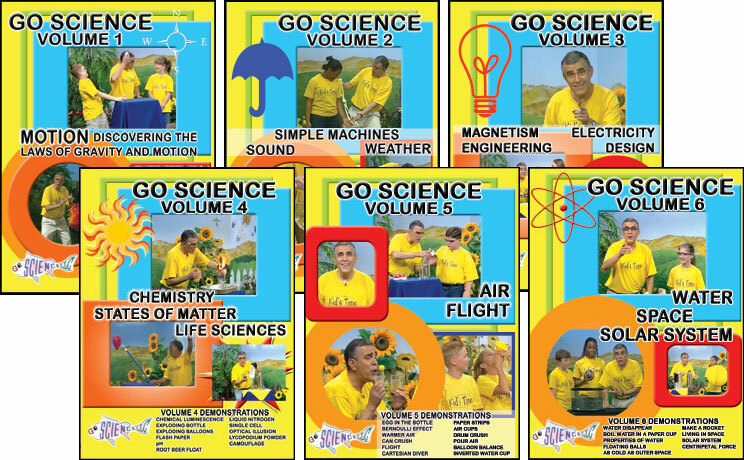 The 6 DVDs cover topics about motion, weather, simple machines, magnetism, chemistry, space, and more. Each demonstration ends with a short teaching about how science relates directly to the teachings and love of our Lord in our daily lives. I was surprised how fun and interesting I found the videos to watch. I kept telling the children, "Just one more demonstration... okay, just one more." Each experiment is around five minutes long and is packed with excitement, sometimes too much for our youngest viewer. Margaret, age 4, got stressed when things exploded. She is, however, under the recommended age group for the videos. I really liked them because of a few reasons. One, the guy doing the experiments is always really enthusiastic about it. Two, I liked how a lot of things explode. Third, he's always saying, "And remember, the more you learn about science, the more you learn about our Creator God." and he points at you when he says it. Um, I really liked them because they were a little funny and also some of them had exploding things. I liked them because there was a really funny guy and in one of them a bottle exploded. I thought about I liked how one of the balloons disappeared and in another one that pretty thing happened. Many other crew members reviewed these videos as well. You can check out their reviews here!